Above is the latest rooftop bar and lounge to open in the heart of Downtown Dubai. Our rooftop oasis offers the perfect haven to enjoy an array of signature cocktails, international cuisine and lounge to the beats from resident and guest DJ’s. 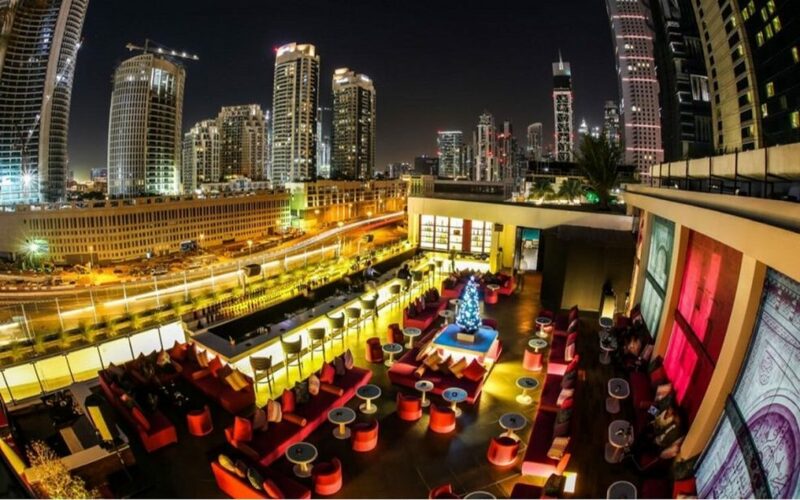 Evenings will show the magnificent view of the illuminated Burj Khalifa and you can also enjoy the panoramic view of Downtown Dubai as you unwind while sipping on the blends that we have to offer. For inquiries, please call +971 4 503 6111 or email H7492-BC@sofitel.com. For the Holy month of Ramadan, Above Rooftop Lounge will remain open from 12:00 pm to 01:00 am. Shisha will be available with à la carte menu indoors accompanied with light background music.